BLT Steak Las Vegas at Bally’s brings a restaurant that’s been acclaimed all over the world to The Strip. BLT at Bally’s is the Las Vegas outpost of the acclaimed and popular steakhouse that also has popular locations in New York City, Miami, Washington D.C., Southhampton, Waikiki, Seoul, and Hong Kong. Combining the tastes of a classic American Steakhouse with the aesthetics of a charming bistro, it’s no surprise that BLT has become popular with diners all over the globe. Famous for their trademark gruyere popovers, which are brought to your table warm and fresh in baskets to start your meal off on the right foot, the rest of the menu is just as memorable. Appetizers include fresh Oysters from both coasts, Tuna Tartare with avocado and soy lime dressing, roasted beets with walnuts and goat cheese, grilled double cut bacon, crab cakes dabbled with meyer lemons on top of radish salad, and jumbo shrimp cocktail and lobster Cobb salad. All of the restaurants steaks are aged then broiled at 1700 degrees and simmered in herb butter. Popular steak styles include dry-aged NY bone-in, filet mignon, prime hangar, and bone-in ribeye, while guests can up the ante and order indulgently delicious American Wagyu ribeyes or skirt steaks, all of which can be cooked to your specification and paired with a collection of delicious sauces. 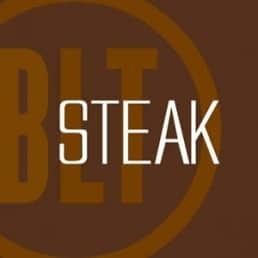 If you’re not feeling like steak when you visit BLT, the restaurant also serves braised short ribs, rack of Colorado lamb, veal chop crusted with herb-parmesan, lemon rosemary chicken, grilled spicy miso tuna, sautéed branzino, grilled Maine lobster, or their popular sautéed dover sole. Add a side to complete your meal, with options like creamed spinach, truffle mashed potatoes, caramelized Brussels sprouts, potato gratin, stuffed mushroom caps, or a classic steakhouse baked potato. Pair your selections with a glass or bottle from the restaurant’s excellent wine cellar, which has been praised by Wine Spectator Magazine and features over 300 carefully selected varieties from all over the globe. If you’re not in the mood for wine, order a specialty cocktail from the curving bar located in the curving lounge attached to the front of the restaurant, the perfect place to grab a drink before or after your meal. Finish your indulgent dining experience with a decadent selection from their dessert menu, with selections like peanut butter chocolate mousse, crepe soufflé topped with passion fruit sauce, carrot cake topped with ginger ice cream, warm chocolate tart, or meyer lemon cheesecake. An American steakhouse with a traditional menu and a chic bistro vibe, it’s no surprise that BLT Steak has become popular all over the globe. 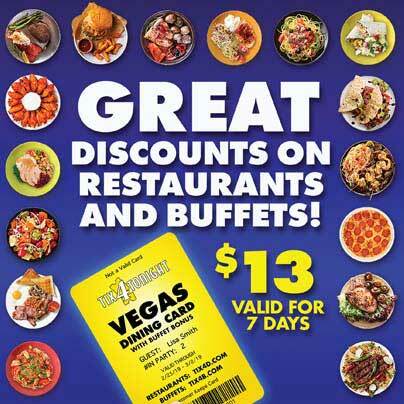 But the only place to experience the acclaimed restaurant in Las Vegas is at Bally’s.